We are a very small non-governmental, UK registered charity, committed to promoting and supporting sustainable projects and improving education in Mityana, UGANDA. 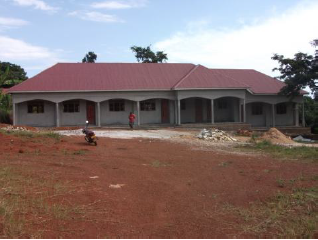 Our latest projects have been to raise £30,000 for a kindergarten in Mityana, and £6,500 for a reservoir at Kalembe. You can see pictures of both on our blog. Remember, every penny we raise goes direct to the end projects in Mityana - we take nothing for admin costs. You can use the buttons on the right hand column to make a single donation, set up a monthly payment, or start a fundraising activity. Thanks for your support! You can see the latest news at our website.